These are my new favorite chocolate chip cookie. I have made a zillion chocolate chip cookies, including the Great Chocolate Chip Cookie Experiment of 2008, but I’m sorry to say ‘so long’ to you NY Times Chocolate Chippers — there’s a new #1 in town. 1) No preparation required. You don’t have to let the butter soften, chill the dough before baking, stand on your head and plug your nose, etc. 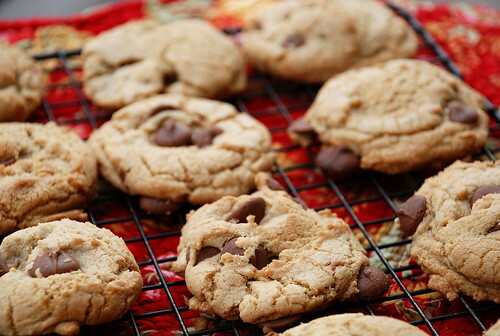 If want to make chocolate chip cookies and eat them in less than an hour, this is the recipe. 2) The used of browned butter, brown sugar, and two full teaspoons of vanilla makes for an extremely toffee-like nirvana party in your mouth. This is a sophisticated cookie, with more flavor than any other I’ve tried, and the salty bite at the end (hellllloooo fleur de sel!) takes the edge off all that buttery sweetness. I don’t think this is my kids’ favorite cookie — though they devoured them, don’t get me wrong — but it is an adult favorite. Thank you to my friend Jenny at Picky Palate for creating these. I’ve adapted her directions only slightly. Please, please use the best chocolate chips you can find. I used Ghiradelli Milk Chocolate in this version and they were sinful. Place butter into a a large skillet with high sides over medium heat, swirling until melted. Once melted, begin whisking -- butter will foam and then boil -- whisk to distribute heat. Once butter turns a deep golden brown (let it go as far as you can without burning) and has a very nutty aroma, remove from heat. Set aside and cool 10 minutes. Combine sugars and browned butter using an electric mixer. Add eggs, very slowly at first to ensure warm butter mixture doesn't "scramble" them, then add vanilla, mixing until well combined. In a separate bowl combine flour, baking soda and sea salt. Gradually add to wet ingredients then add in chocolate chips, mixing until just combined. Scoop dough onto prepared baking sheet with a medium sized cookie scoop. Bake for 9 to 11 minutes, until cooked through. Remove and immediately sprinkle with extra sea salt. Let cool for 5 minutes then transfer to cooling rack. They look irresistable–just found you via Cooking Contest Central. These are seriously amazing! I didn’t add the salt on top and they still have a perfect slightly salty aftertaste at the end. 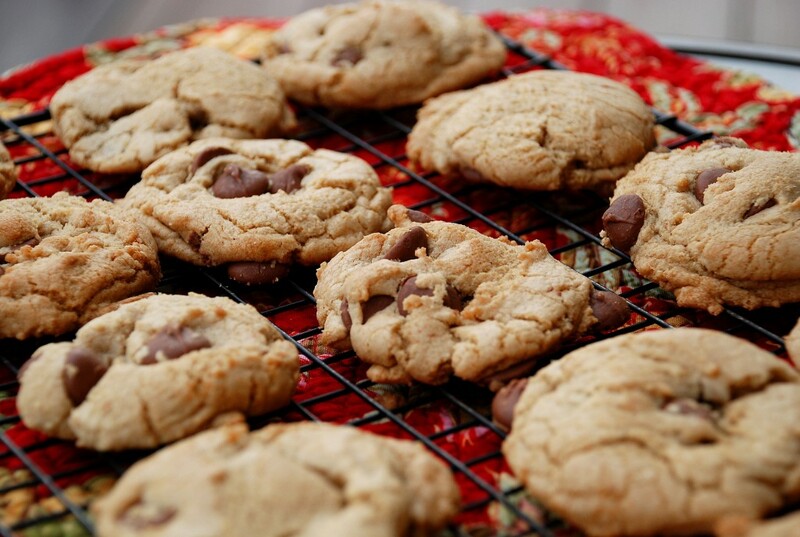 You are right that the Ghiradelli milk chocolate chips really make these cookies perfect! Thank you for the recipe, I will make these again and again!